Ho Chi Minh City is the business and financial hub of Vietnam. Visiting this dynamic city, travelers will experience skyscrapers and ancient architectural construction and big traditional markets. 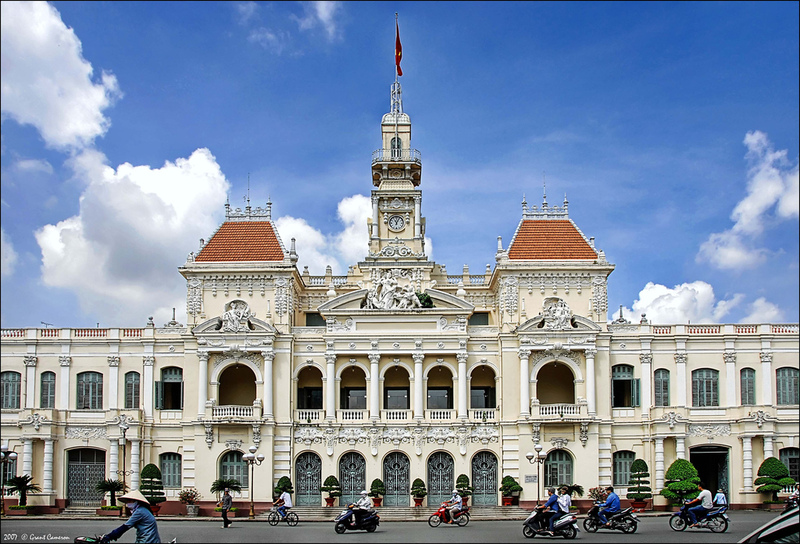 Ho Chi Minh City Hall is one of the famous ancient buildings of Ho Chi Minh City, was built from 1898 to 1909 by architect designer Femand Gardes modeled the bell tower style in the north of France. Today, it is People Committee where government working in Nguyen Hue Street, so tourist cannot come inside to discover. However, it is still quite impressive by unique ancient architecture. Especially at night when light up, the City Hall become more beautiful and splendid. Built in the late 1880s by French colonists, undergone many historic events, this church still remain old features. There are 2 towers which is 60 m tall and containing six bronze bells. In front of the church, exits a statue of the Virgin Mary made in Rome from Italian marble. Every Sunday, Christians come here to pray for peace and happiness. 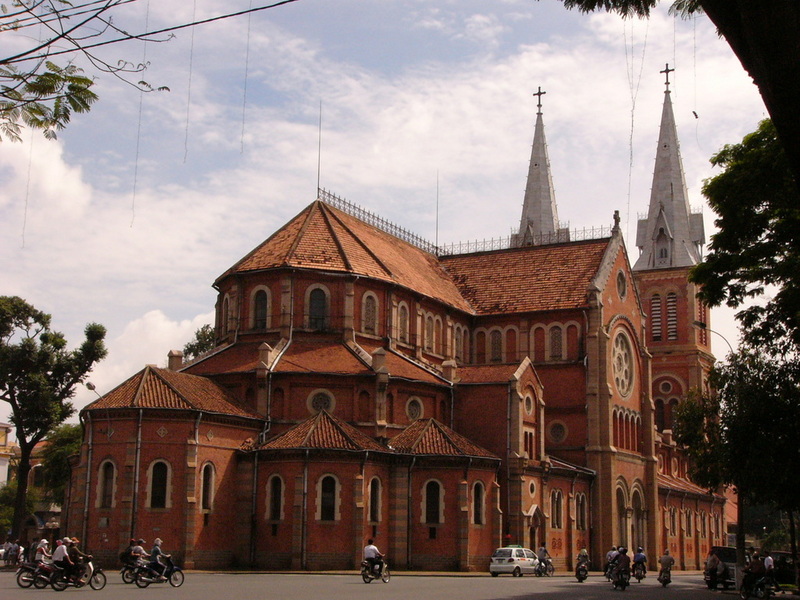 Located at the city center, No 1 Paris Commune square, 1st district, Notre Dame Cathedral is the largest and the most famous church in Ho Chi Minh City. Annually, it attracts a large numbers of visitors because of unique architectural construction. 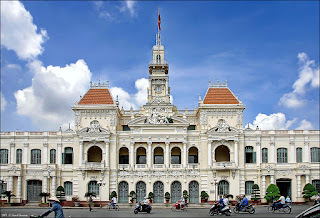 Located on Dong Khoi Street – the center of Ho Chi Minh City, next to the two large hotels Caravelle and Continental, Opera house is a special structure, with a style Gothique prevalent in France late 19th century. This Opera House has ancient majestic architecture with one ground floor, two floors, 1800 chairs, ventilated air, modern sound and lighting system. It is an ideal place to listen to opera and classical music. Every day, they organize many professional theatrical performances such as drama performances, reformed traditional music, ballet, ethnic music, and opera for all domestic and foreign art troupes. This is a famous architectural works in Ho Chi Minh City, built 120 years ago. This building is bold French architecture with typical values in the city. Center Post Office is not only an indispensable sightseeing destination for travelers when coming to the city, but also the pride of the citizen. Coming here, tourists will admire the unique architecture of the post office, and also be immersed in the ancient world, from the letter box, until the call counters. Ben Thanh Market is considered the symbol of the city tourism. The market was built as square shape with 4 doors opened 4 directions: east, west, south, and north. This is not only is the place for business, but also the place witnessed many vicissitudes of history. 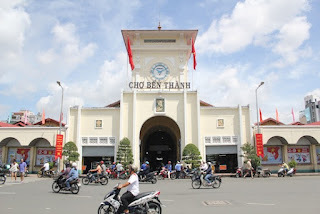 If you want to get some special gifts of Vietnam, Ben Thanh Market is the best choice. At this market, you can find practically everything you need. You also can get a god deal if you try to bargain, all the sellers are funny and generous.